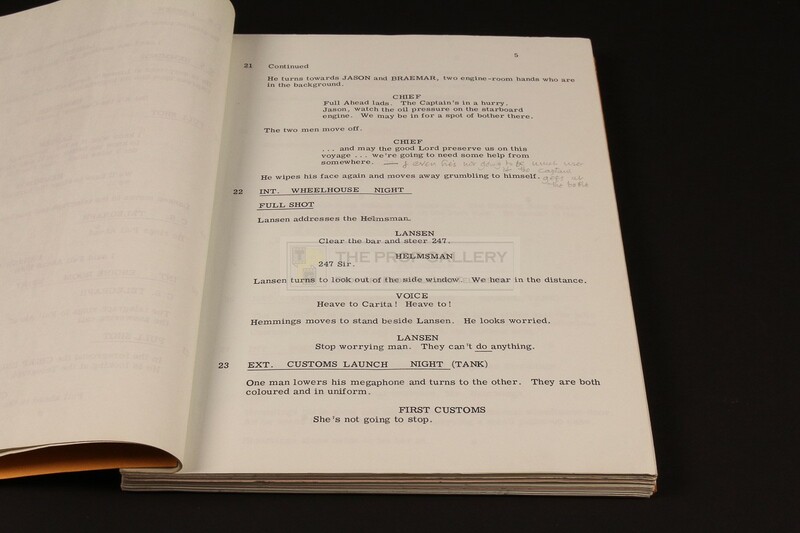 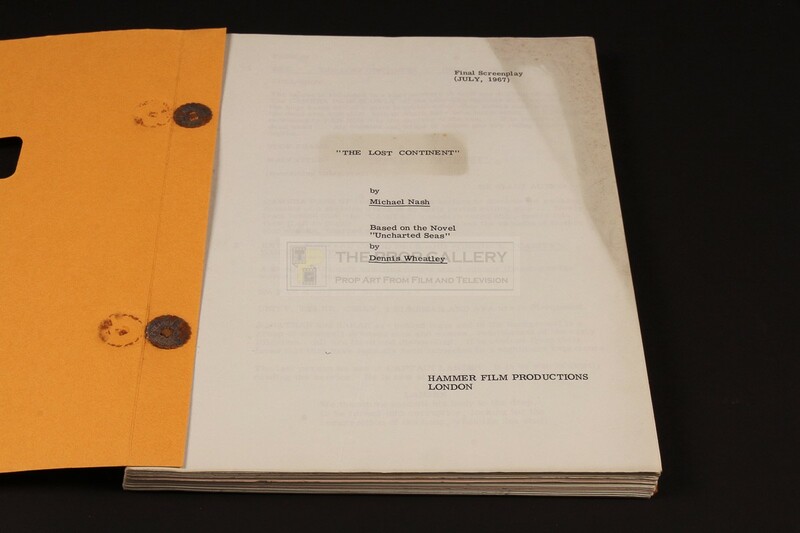 An original script used in the production of The Lost Continent, the 1968 adventure picture produced by Hammer Film Productions. 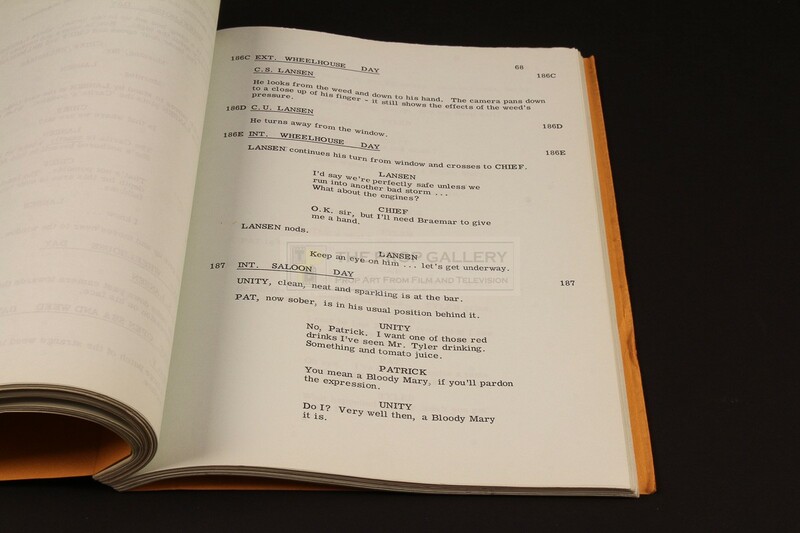 This original final draft screenplay is dated July 1967 with writing credit to Michael Nash which is an alias for writer, director and longtime Hammer Films producer Michael Carreras. The script comprises of 130 pages bound within front and rear covers of orange card with a window cut out to the cover revealing the name of the movie printed on the title page, within there are pink title pages separating various chapters and some minor annotations which are hand inscribed in pencil. 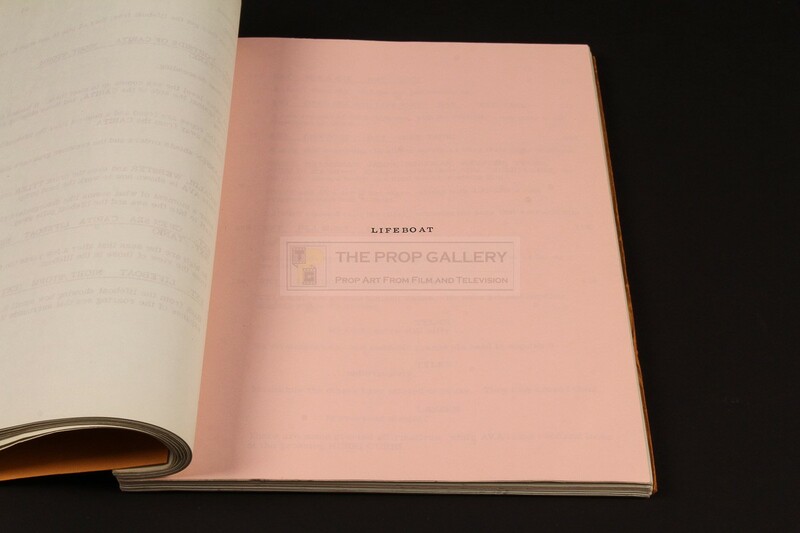 The script remains in excellent vintage condition with some minor edge wear, toning and staining consistent with age, overall fine. 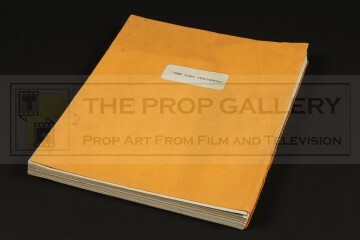 An exceptionally rare example of original production material from this Hammer Films adventure.